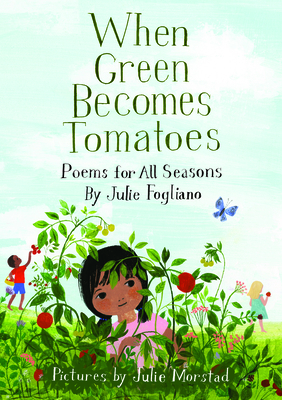 Julie Fogliano is the New York Times bestselling author of And Then It’s Spring and If You Want to See a Whale as well as the poetry collection, When Green Becomes Tomatoes. Recipient of the 2013 the Ezra Jack Keats award, her books have been translated into more than ten languages. Julie lives in the Hudson Valley with her husband and three children. When she is not folding laundry or wondering what to make for dinner, she is staring out the window waiting for a book idea to fly by.